Do kids spend enough time outside these days? While some children may get plenty of fresh air and sunshine, many others do not. For some of us, getting our kids outside is a bit of a struggle. And my children are not alone, which is why we have programs like National Get Outdoors Day and things like Great Outdoors Month. Take a nature walk, roller blade, skate board, fly kites, kick around a ball, or have a picnic. If your children have any interests or skills (like bike riding or skateboarding,) use those to your advantage and just take those interests to the park. Ideally, your outdoor activity would be great exercise, too, but if your children prefer to sit and sketch the things they see or photograph nature through the lens of their camera, I would argue that there is value in that kind of outdoor activity, too. Camping provides all sorts of opportunities to explore and enjoy nature. Hike, fish, and spend some family time together in the woods. After a day of hiking and exploring, gather around the campfire with songs and conversation. On the other hand, if you’re a bit challenged in the camping gear department, you could also make a day trip out of it, without the needs for tents and sleeping bags, etc. If you’re not up for traveling, you can enjoy the nature outside your own home by hosting a backyard barbecue–complete with lawn games, water sprinklers, or whatever else your family will enjoy doing together outside. Invite friends and family over to enjoy the day with you. After all, getting outside starts at home in your own back yard, doesn’t it? 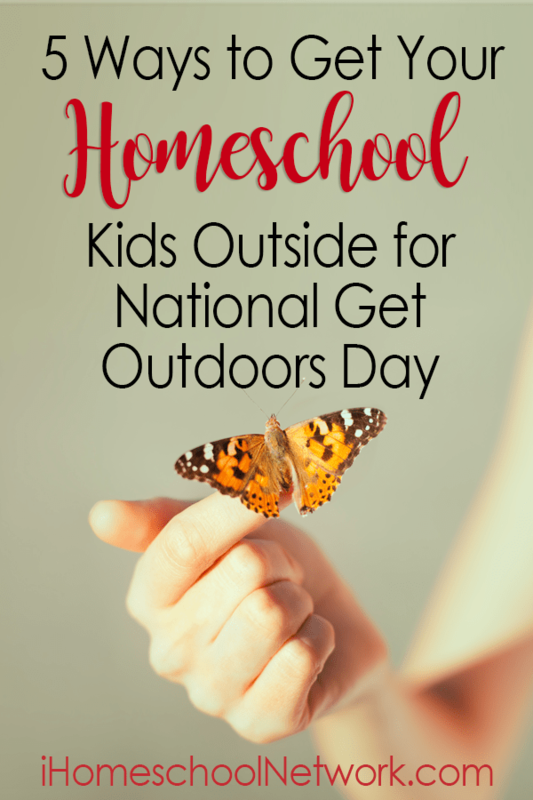 Getting outside for National Get Outdoors Day is a great way to get your kids outside–but how can you keep that going? To keep your kids in touch with nature, look for outdoor hobbies and interests to foster and encourage. Skateboarding should only be done outside (or else face the wrath of mom,) so naturally an interest in skateboarding will include more fresh air and sunshine. What hobbies do your children have an interest in which they might be able to pursue, and which hobbies might you be able to pursue together as a family? Find something you love doing that happens outside, fan those flames, and you might find yourself outside more frequently with less effort.